I’ve been busy this week and I’m caught up with a ton of things that is why I haven’t published anything new. But I promise I’m on my way to finishing this good book. 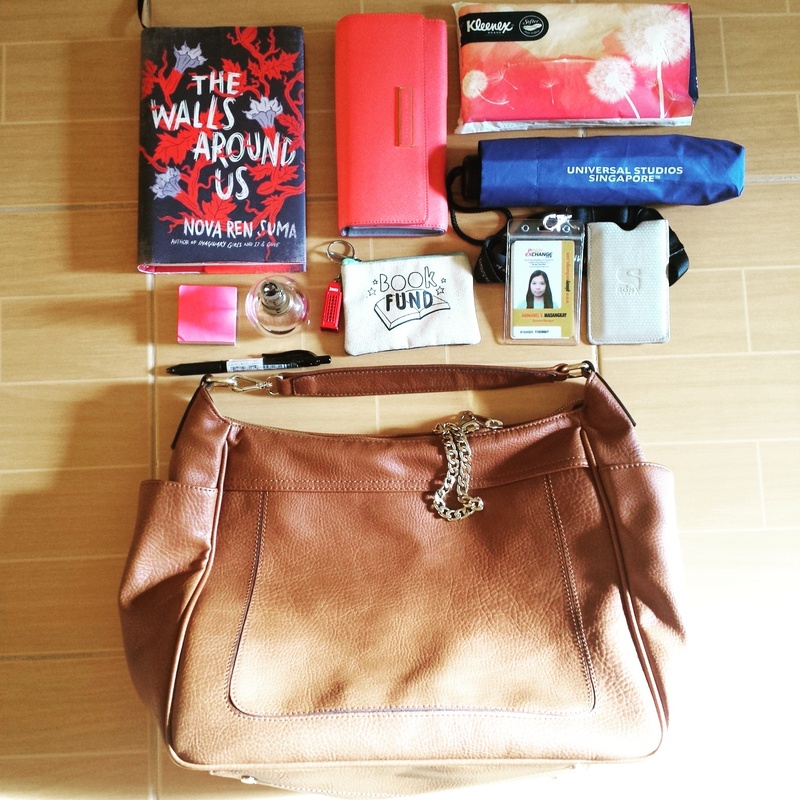 So I’m sharing with you what’s currently in my bag. I usually always carry a book with me wherever I go especially on my commute to the office. A great way to pass the time when you’re stuck in the morning traffic jam. Better to get lost in the story and travel with characters into different worlds. I’ll be blogging about Nova Ren Suma’s The Walls Around Us soon. I’m about 100 pages away from finishing it. I’ll keep you guys posted. Your purse is a lot cleaner than mine! Haha. I just cleaned mine that’s why. Usually there’s a ton receipts, food wrappers and trash in there.